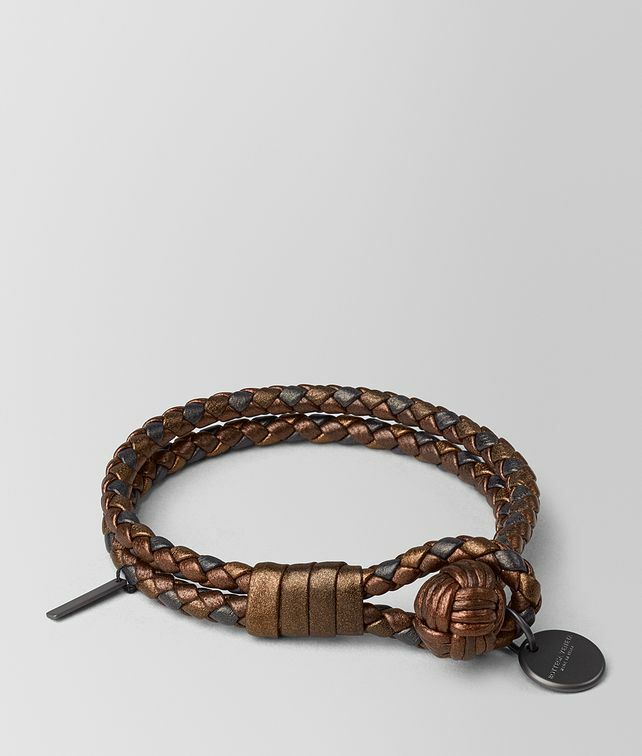 This double-strand bracelet is crafted from soft nappa leather and braided into the iconic coaxial weave motif. This simple but striking piece displays three tonal strands in an antiqued-metal finish. It features the signature knot fastening and a discreet brunito logo pendant.